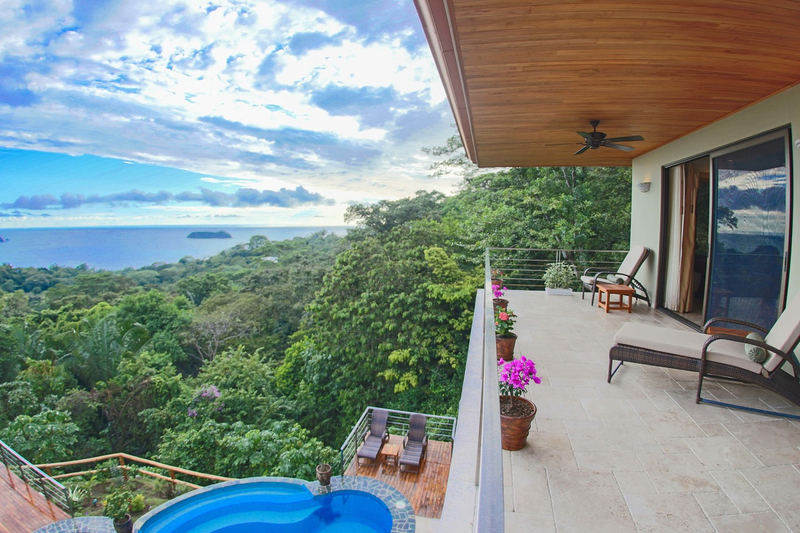 Bay View, Mountain View, Ocean View, Panoramic. 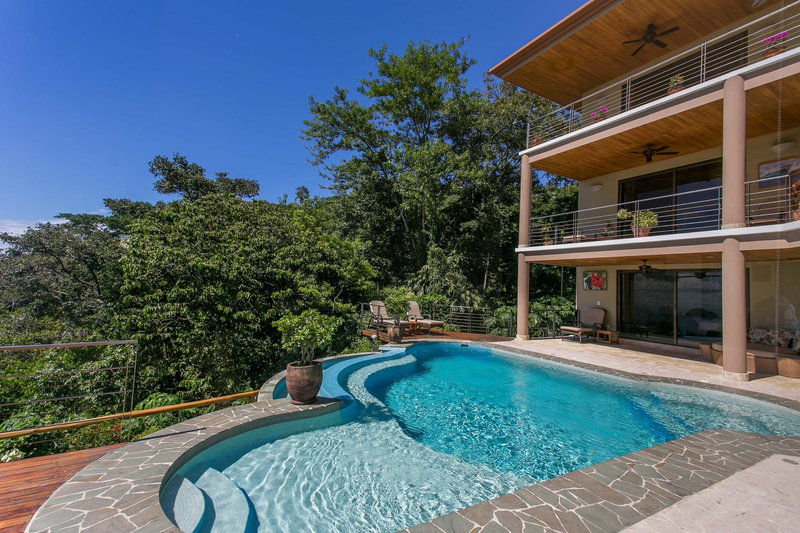 This beautiful seven bed, seven and a half bath home in Manuel Antonio is 7000 square feet in size and sits on it’s own private two acre estate. 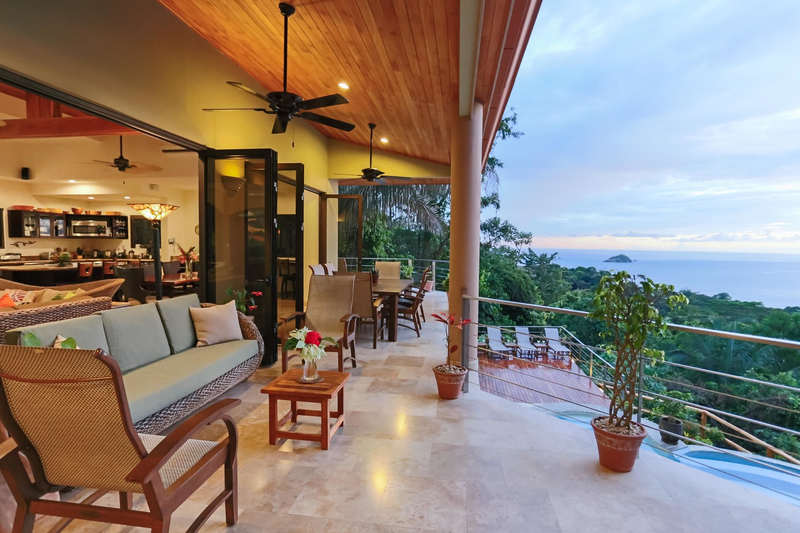 Through the gated entrance and private driveway, you won’t believe that you are still located in the heart of Manuel Antonio while enjoying the complete privacy that is offered here. 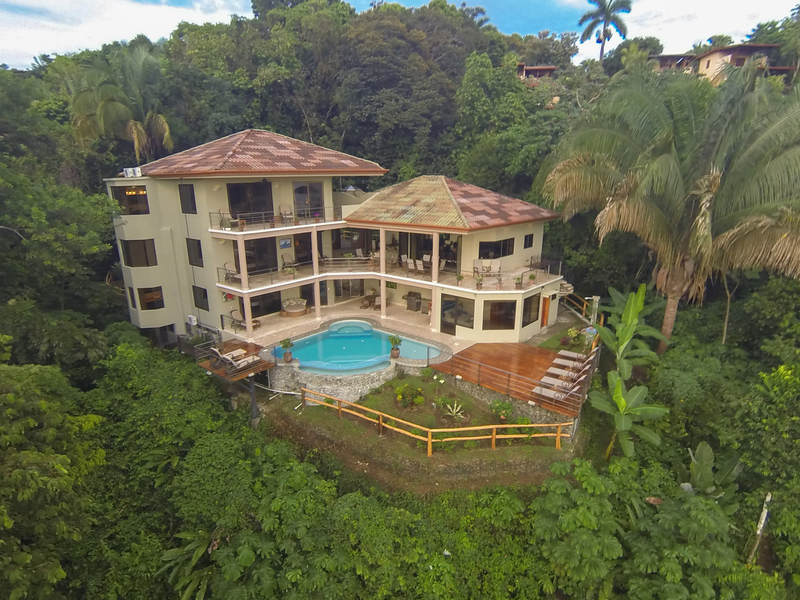 This home is conveniently located close to shops, restaurants, a gym, spas, and all of the amenities that the area has to offer. 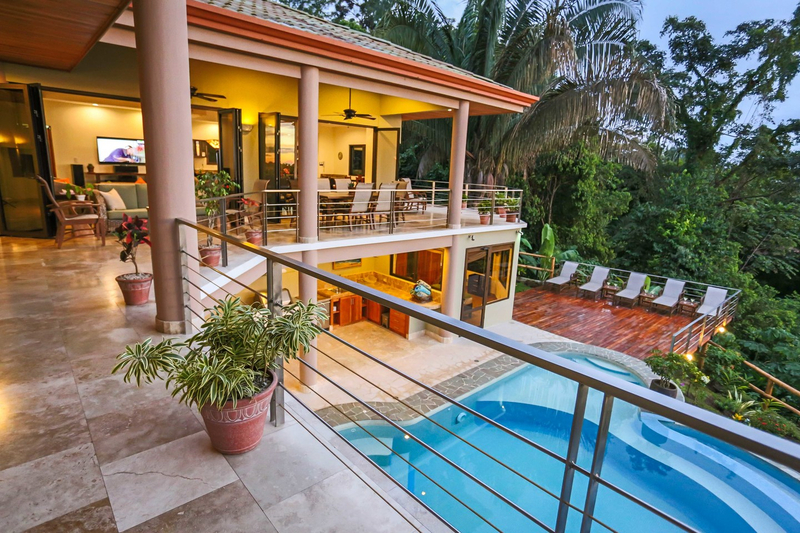 The grounds of this villa harbor mature gardens and immaculate landscaping. 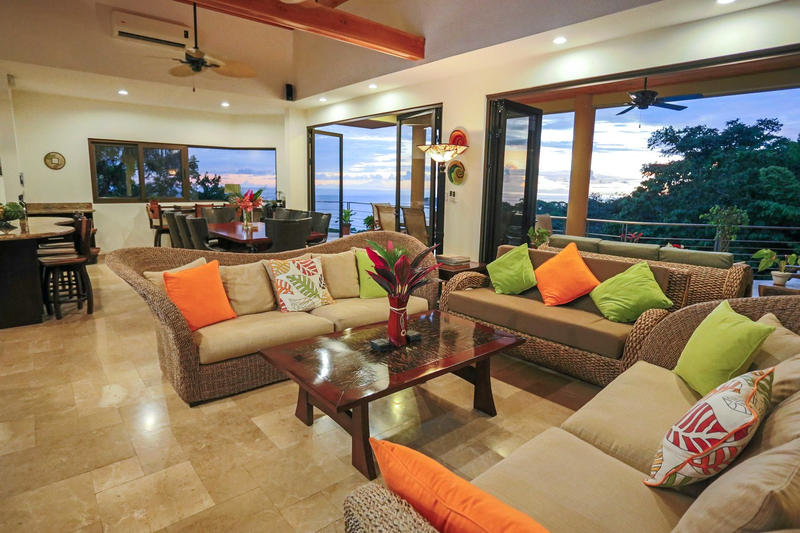 Inside the home you will find an open plan kitchen and living room which lead out to large terraces. 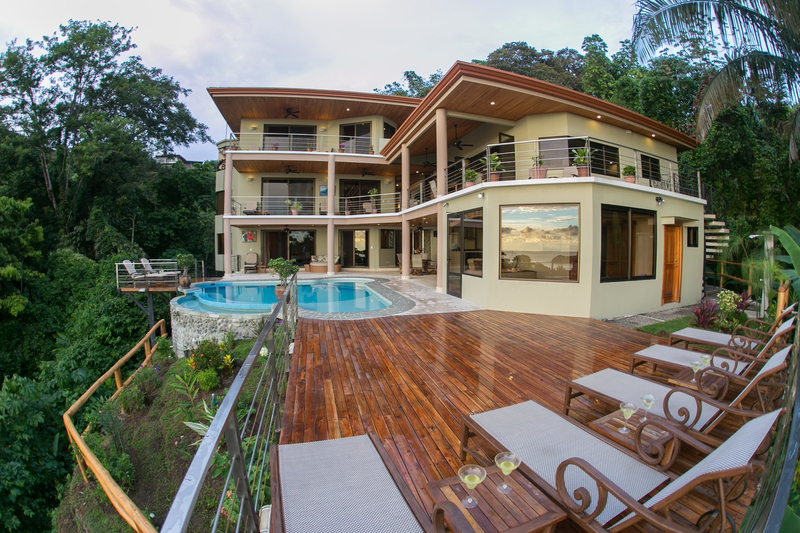 This is the idea indoor/outdoor living experience here in Costa Rica. 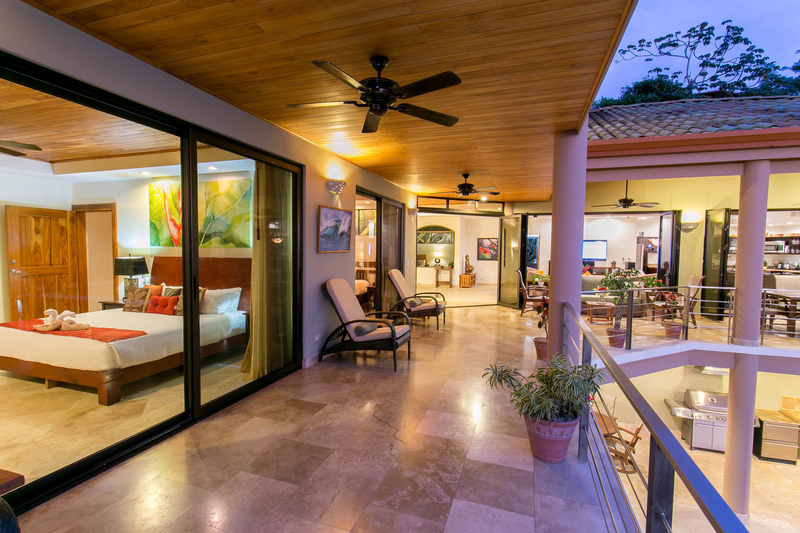 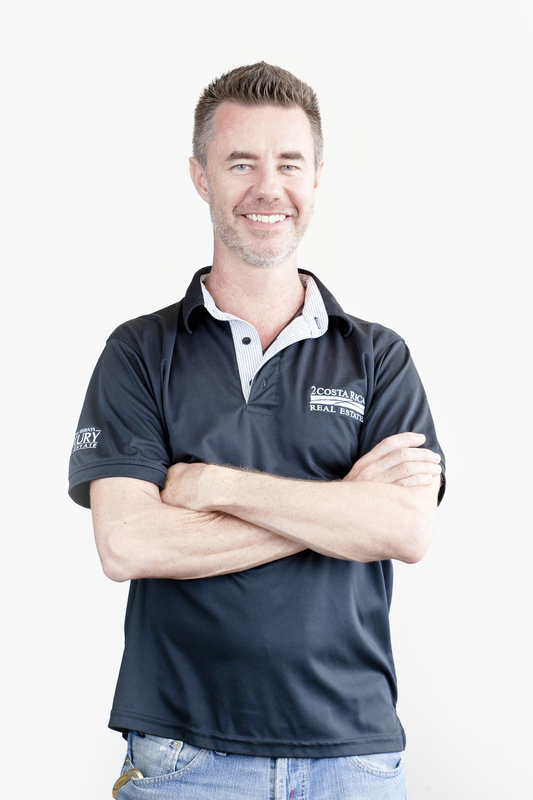 For the hotter days, guests can enjoy the air conditioning which is available for all rooms in the home. 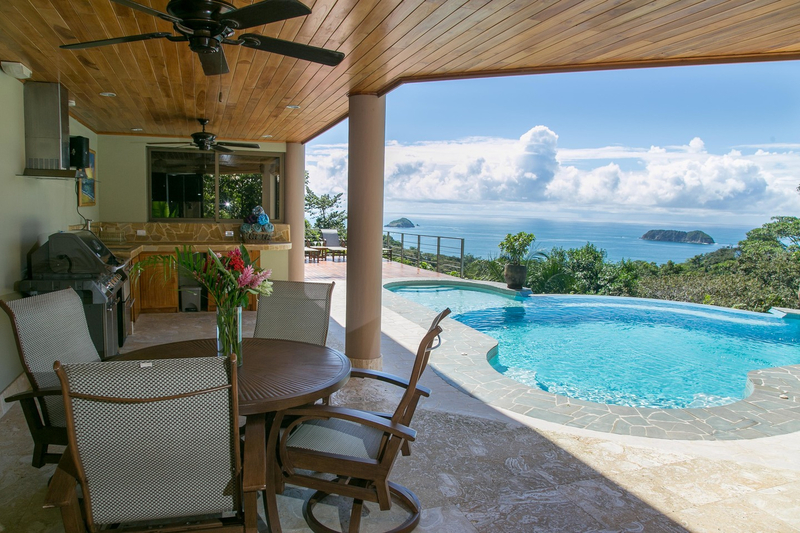 The folding glass doors ensure that the view can always been admired from indoors or outdoors. 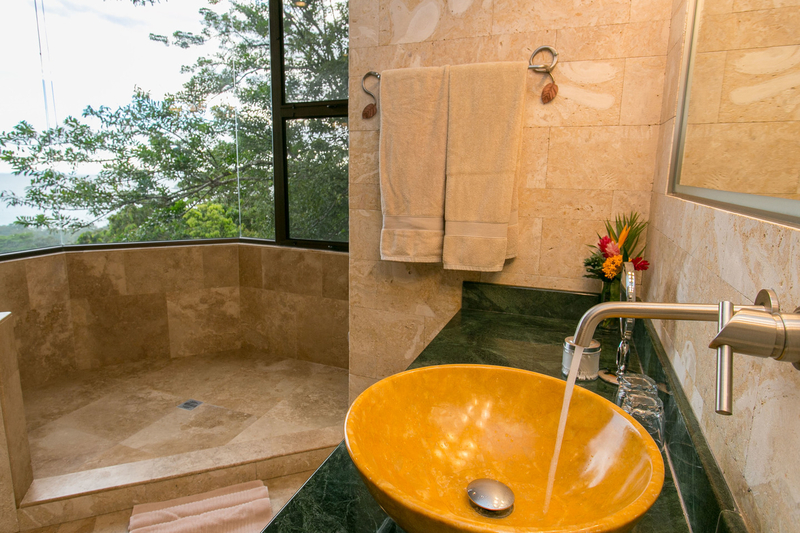 On the main level there is a half bath, full laundry room. 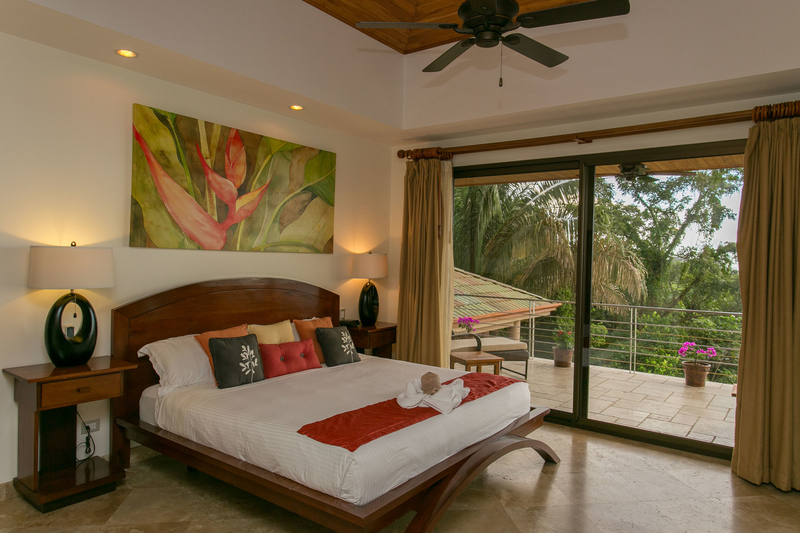 The master suite and guest suite each have their own full bathrooms and walk-in closets, which can also be found on the first floor. 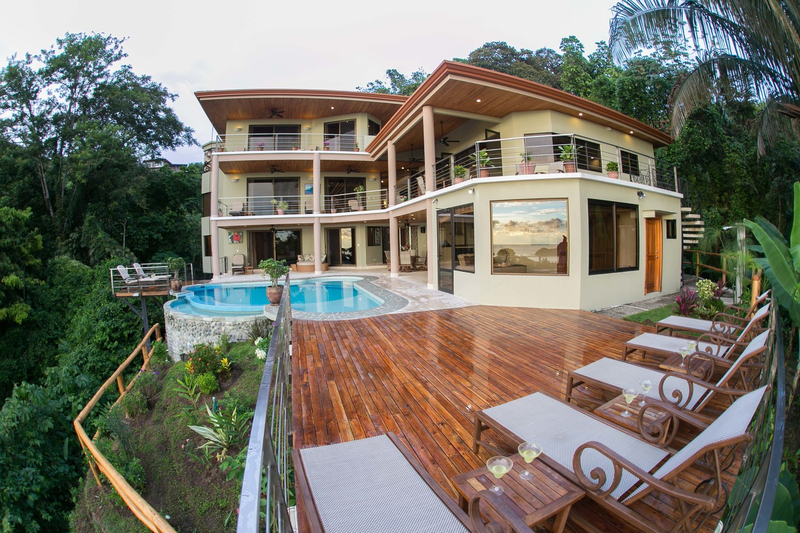 Each upper and lower floor has a master suite and guest suite. 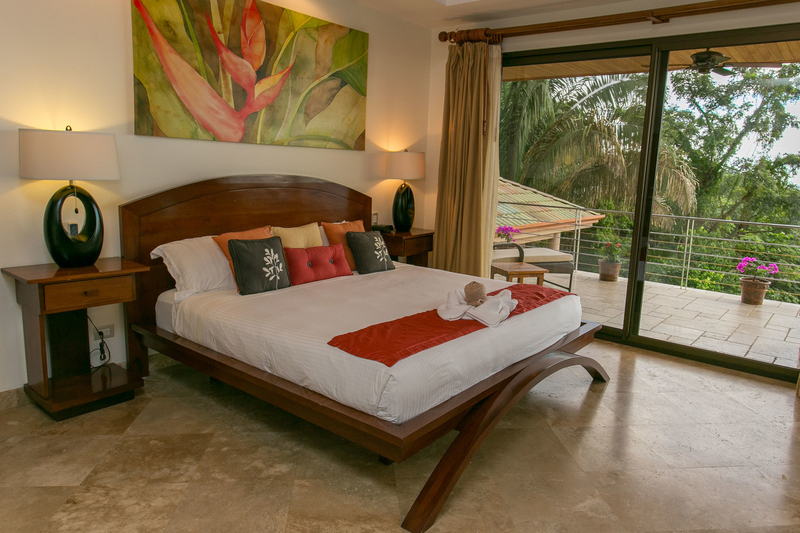 The seventh bedroom is located off the pool deck and has it’s own entrance there. 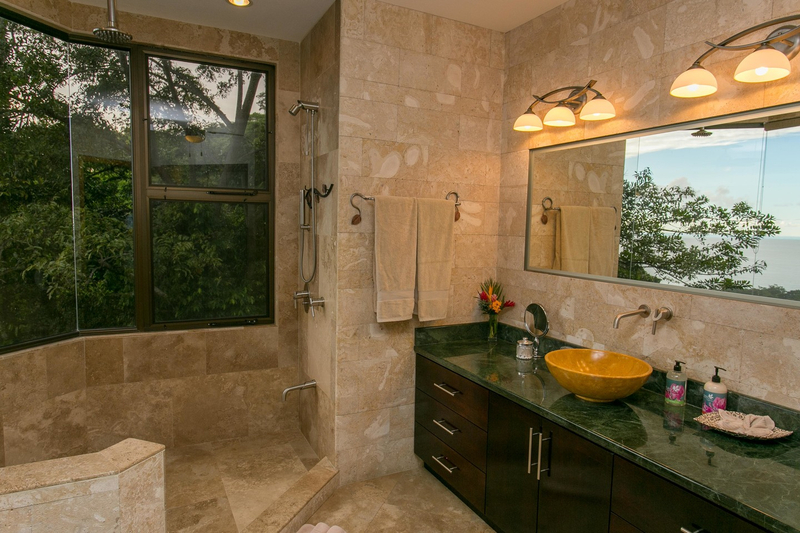 A second laundry room, two large storage rooms, and a two carport with storage closets also complete the home. 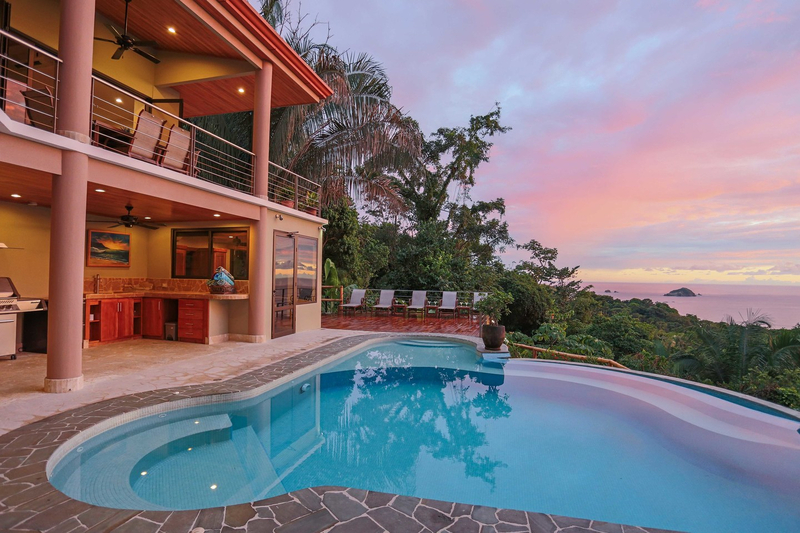 Buyers and guests will love gathering on the poolside on the deck for BBQs, suntanning, sunset dips, and sunrise coffees. 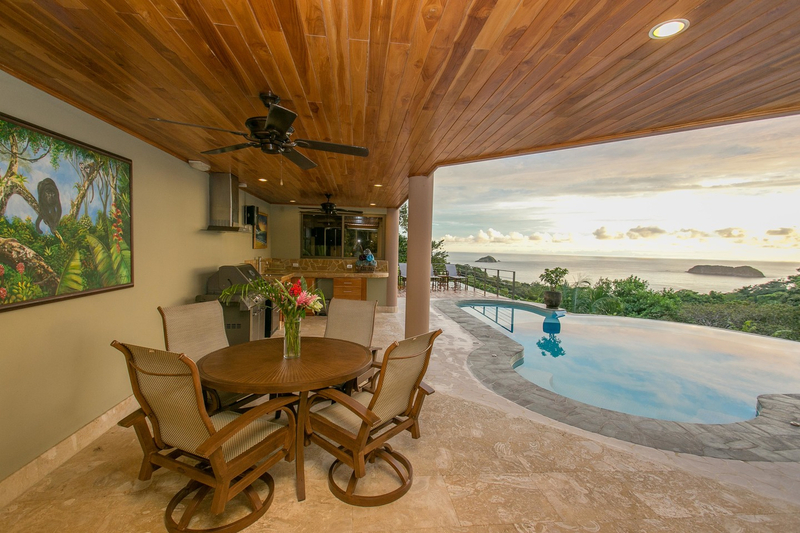 The pool area comes complete with a grill, outdoor kitchen, dining table, lounge chairs, and two separate teak sundecks. 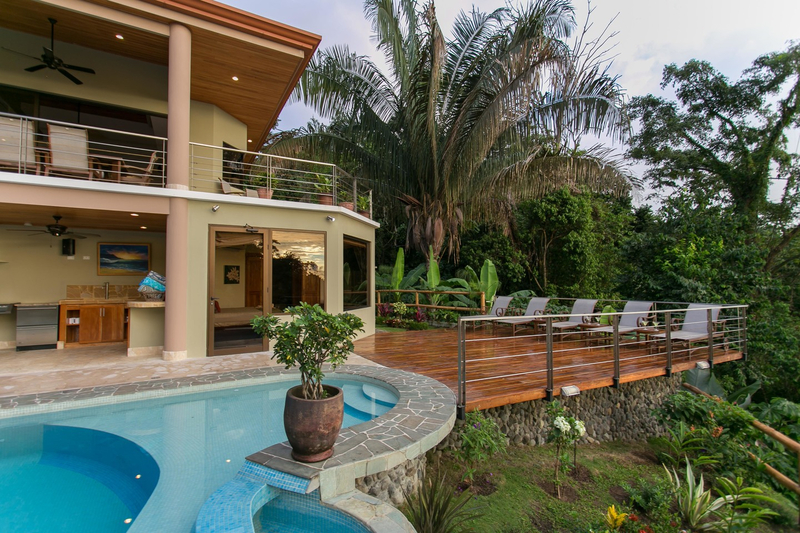 This is easily a guest favorite spot of the entire property and built for entertainment. 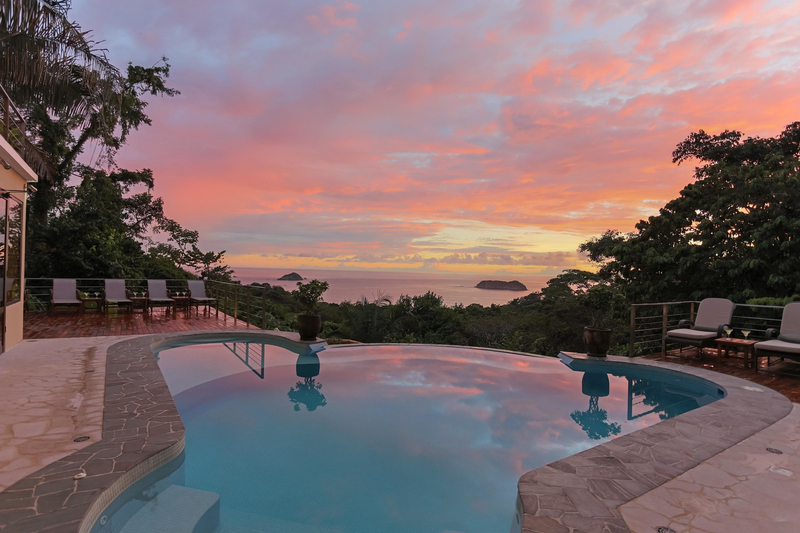 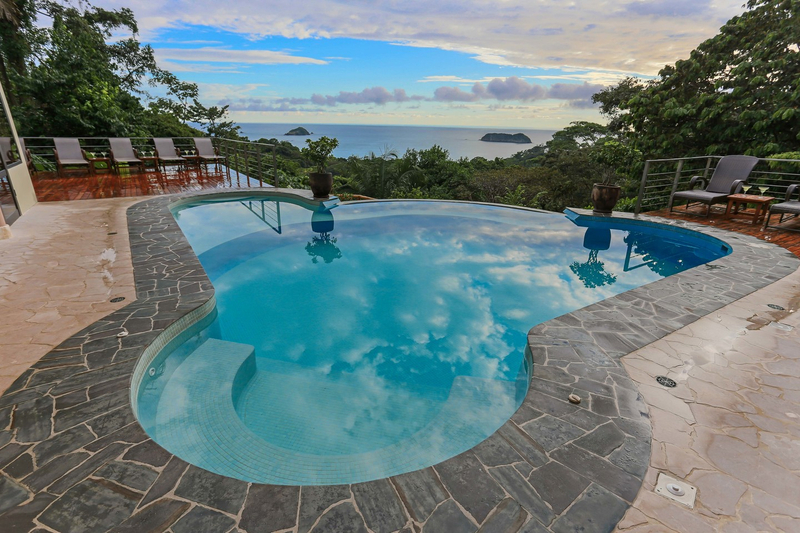 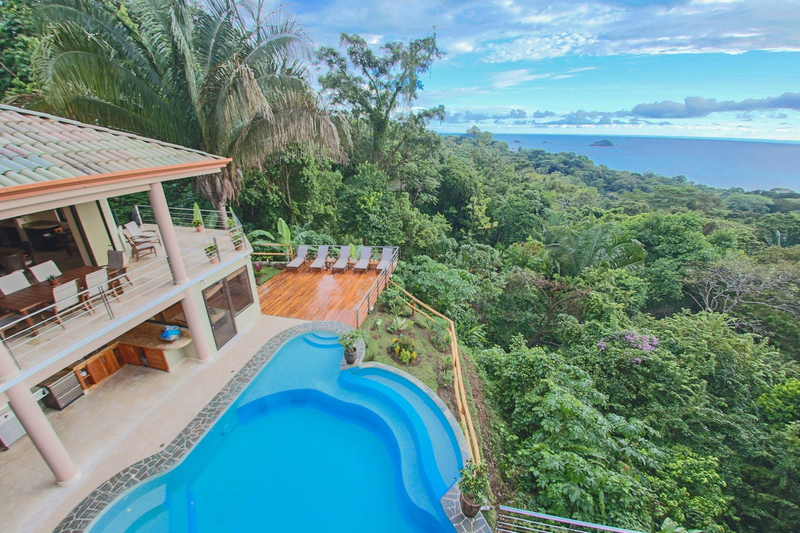 This home in Manuel Antonio, Costa Rica is currently used as a high-end vacation rental but would be the perfect slice of paradise for someone to enjoy as their own private residence.